Here is one happening that was NOT mentioned in the Synod Briefings given by the adulterist and homosexualist churchmen. It took place on Monday, October the 5th, 2015 and is reported by an eminent European Prelate, Archbishop Stanisław Gądecki on his blog. "Moses drew near to the people and gave way. Likewise today, the 'hardness of hearts' opposes God's plan. Could Peter not be merciful like Moses"? There we have it: a priest of Jesus Christ, a bishop, a Prince of the Church openly before his brother bishops, before the whole Church: contradicting Our Lord Jesus Christ! "One should always speak of the "sacrament of matrimony" and not "marriage". To show the spiritual beauty of marriage. To assist spouses one must show them the unchangeable, spiritual vision of matrimony. Many times we are not united with the positive vision of marriage and the family. Jesus corrected Moses. Dissoluble marriage is against its nature". Simply put, what we are getting from the Holy See Press Office is propaganda. Friends, we can do an "end run" around the Holy See Press Office censors, courtesy of the internet. We must all do our part: Toronto Catholic Witness is monitoring the Polish Catholic press, Polish media and reporting accordingly. Thank you from the bottom of my heart for reporting, uncovering the perfidious betrayal of the Holy See Press Office. I am so at peace when I read vile pope coverage and see the source is unreliable. There are several out there who are doing that. And one of my friends sends me every negative thing said about the pope and the synod for over a year now, so I have read it all. But thanks to your reporting I am able to say, "Papal Spokesman!" Pay no attention! Wow! Actual information on what is happening in the Synod. I will visit this site daily. 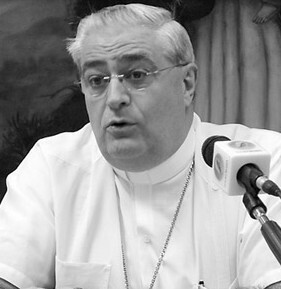 God bless Archbishop Gadecki for his blog and God bless you for the translation. Obviously Fr.Rosica has an agenda so we cannot trust what he says. Hey Cardinal Maestrojuan----Moses wasn't allowed to see the Holy Land. You might not either. 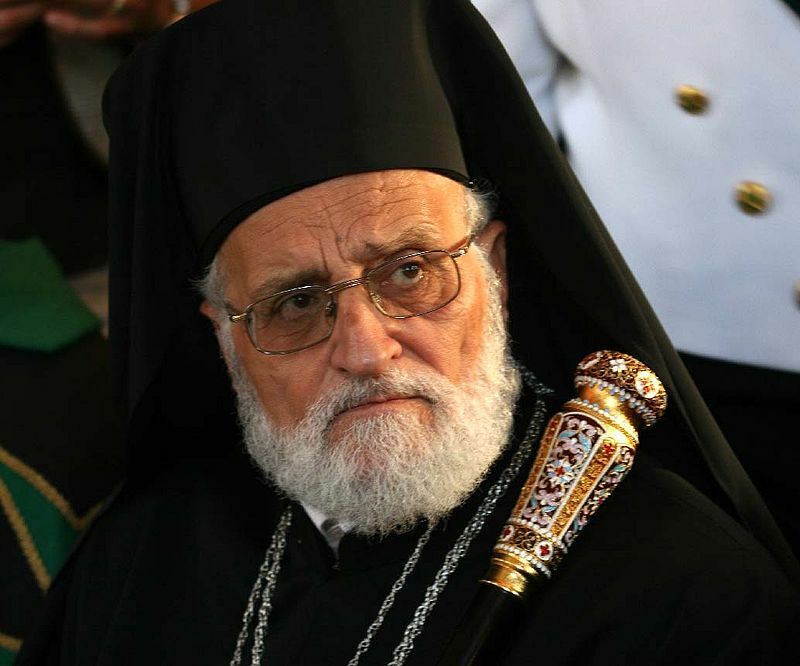 Patriarch Laham looks like he wants to take that crozier and smack Maestrojuan upside the head. Would do Master Juan some good! Thank you for the "alternative" information that you have provided. Those of us who turn to you and others akin to you are certainly blessed to receive uplifting and hopeful interventions that fine bishops have delivered at the Synod. The unfortunate reality is that the overwhelming amount of Catholics receive their news about the Church via "mainstream" news sources. Said sources, of course, always look to skewer the authentic Catholic message. But in fairness to the news media, this time, they have simply reported news from the Synod that they've received via Vatican press officials. In a great many parts of the world, Sunday Mass attendance is low. That, in turn, would suggest that Catholic interest in the Church's life is scant in those parts of the world. But that may be different today as the popular impression of the Synod is that the bishops are fixated upon an issue of great interest to many Catholics: That is, the issue of divorced and remarried Catholics...with the supposed focus upon homosexuals also being of interest to many Catholics. That, of course, is why the "Propaganda Machine" at the Synod is determined to spin the Synod into a pro-Divorce-and-Remarriage/pro-homosexual Synod that is determined supposedly to legitimize the sins of adulterers, and the Sodomites. For now, that is the popular image of the Synod. Ultimately, only His Holiness Pope Francis can undo that damage via a clear and orthodox post-Synod exhortation. Should he do so, he will be despised by the world. In particular, he will be despised as the world, during the past year, was fed huge portions of propaganda in regard to the Synod. The world had been led to believe by many people within and without the Church that the Synod would usher in major changes to various ancient and unchangeable Church teachings. This Reconverted idiot is immensely grateful for these reports. Actually we had better pray for Maestrojuan. Thank you so much.. we need to hear the truth! God bless you and all the bloggers who pass on the truth in our Lord Jesus Christ! At least Moses was faithful to God....I'm betting the Panamanian bishop is a Freemason. The Holy See Press (I mean, Propaganda) Office would not be doing what it is doing without orders from Pope Francis. This is what frightens me about the future of the Church. We have cardinals and bishops today who are ACTIVELY trying to degrade the Catholic Faith itself! That would be a St. Nicholas Vs Arius Moment.